Mamata Banerjee requested political parties and leaders in the hills, to "be calm and help in restoring normal life in Darjeeling", to bring back peace and solve problems being faced by the locals. Mamata Banerjee said the ongoing movement by the GJM is "only for the sake of politics". 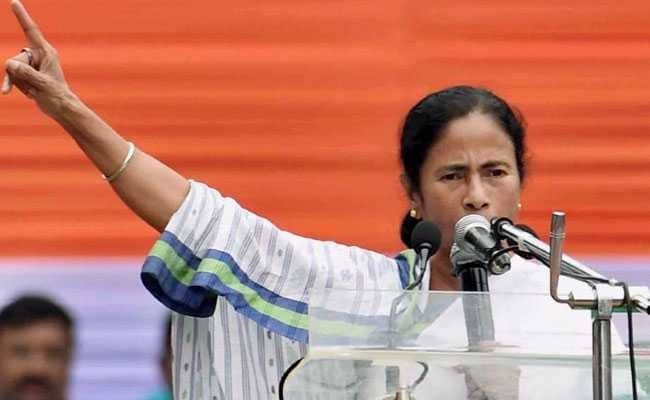 Chopra: West Bengal Chief Minister Mamata Banerjee today said she will never support the division of the state and urged all political parties in the hills to restore peace and normal life in Darjeeling, where the indefinite shutdown entered its 48th day. "Whatever happens, everyone should remember that I am ready to give up my life but I will never support dividing (the state) into parts. Every district is our asset. People from every religion, caste will be here. This is India. It is our duty to protect it, not to divide it. I love the hills like all other districts of West Bengal. But people must remember that the hills are a part of West Bengal and will remain so in the future," she said in a rally in North Dinajpur district this afternoon. The chief minister said that she would do everything for the development of Darjeeling but not anything which may lead to a riot or create disturbance among the people. Gorkha Janmukti Morcha (GJM) is spearheading the shutdown in Darjeeling to press the demand for a separate Gorkhaland. She requested political parties and leaders in the hills, to "be calm and help in restoring normal life in Darjeeling", to bring back peace and solve problems being faced by the locals. "I want the hills to get back to normal life. I want the tea gardens to start their operations. Darjeeling tea is a global brand, do not spoil it," Banerjee said. The chief minister said that a political movement should be for the welfare of the people but the ongoing one by the GJM is "only for the sake of politics". "Today tea garden workers are not getting food. Students are unable to go to their schools and colleges. Tourism is getting affected. Why are you (GJM) in such a movement? There is no fault of the common people. They have not done anything wrong. People are troubled and you (GJM) are continuing with the movement only for the sake of politics. This is not right," she said. Ms Banerjee alleged that it was not the hill people who were creating trouble, but political leaders, who were bringing in goons from outside to create law and order problems there. GJM chief Bimal Gurung had yesterday asked the chief minister to "come and see the sad situation" in the hills. She had last visited Darjeeling on June 8, when the GJM supporters had clashed with the police outside the Rajbhavan where the state cabinet meeting was held. Following this, an agitation started and subsequently call for an indefinite strike was given in support of their demand of separate Gorkhaland.